Harris is still claiming a valuable 7 pound he isn’t without experience, since getting his license in 2014 he has ridden in 88 races. Apprentice Jockey to one of Britain’s top trainers Richard Fahey. From 49 Rides on the All Weather Harris has ridden 5 winners with 6 places. On Turf he has had 39 rides winning once and placing on a further 7 occasions. Statistics will say Southwell has been a good Track to Russell. 14 rides with 3 winners and 4 places. This is one for punters to take notice of has he boasts a P/L +£23.50 to a £1.00 level stake. Fresh from his last race at Wolverhampton yesterday evening, let’s hear from the rider himself. Tell us all about yourself and how you got into racing? I first got into racing by getting accepted to study at the British racing school down at Newmarket at the age of 16, where due to no fault of my own things wasn’t going to plan as told in my first ever Interview on at the races. I then went on to the northern racing college in Doncaster and i progressed in leaps and bounds. What trainers have you worked for since you started out? I have worked for Andrew balding, Tony Carroll, Scott Dixon, Patrick Holmes, Karl Burke and Richard Fahey I have also ridden work for plenty of other trainers too. What do you do on a working day? My normal daily routine would consist of waking up at around 6am having a little bit of breakfast before heading to work for 7am. I then would ride 4 lots before breakfast then a further 5 after I finished for 1pm. Then i head straight down to Jack Berry house to do a good bit in the gym and after am done i then go back for evening stables which is 4pm-6pm. One evening a week, I’d go see my jockey coach and work on a few things before heading home having a shower and a bit to eat and then to chill out with the missus. Who was the one Jockey you looked up to as a youngster and really wanted to be like? Growing up one of the main jockeys I looked up to was Kieran Fallon he was a great rider and horseman and rode some of the best horses for some of the best owners and trainers out there. If you could have ridden one horse past and present who would it have been and why? I have been lucky enough to sit on a few good horses in my time in racing. I learned a hell of a lot from my 2 1/2 years spent at Tony Carroll’s and the team he has down there and was lucky enough to sit on Caspian prince a handful of times who has won Group 2 races and is also a multiple winner of the Epsom dash. Who is a horse in Richard’s Yard everyone loves whether that’s down to pure ability or personality? I think everyone has a love for Sands of Mali with what he has achieved and has done for the yard. What are your plans for the up and coming flat season? My targets for the season ahead is hopefully get down to my 5lb claim. I have 14 winners left and I think I am in the right yard to achieve this. Have you had any dealings twitter trolls and how does this effect you? My experience with social media tends to be a bit of both to be fair, you get a lot of armchair jockeys who give you a load of stick about how awful you are and try and threaten you when they lose but the same people message you when they win and say how amazing you are and how much your underrated its madness. What do you do when your away from racing? When I am away from racing I like to go the Everton matches and go back home to Liverpool to see friends and family with my son and girlfriend who’s a red unfortunately. Finally, give the followers a dark horse to follow for the up and coming season? 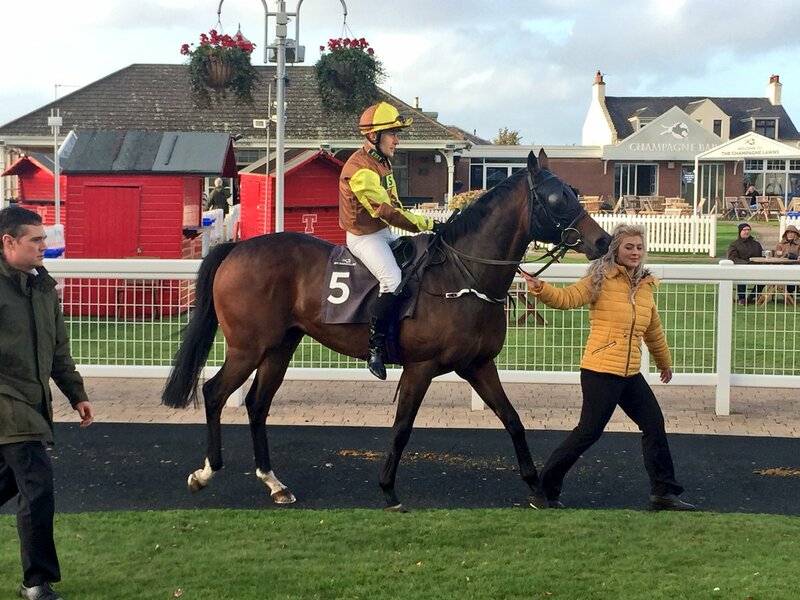 A dark horse to follow is hard as there’s more than a few at our yard but one of my personal favourites is a 4 year old filly called Claire Underwood. Next RACING TV PRE-PAID CARD?